In the years before I came to Jalopnik, I was a Jeep engineer, and when I arrived at Chrysler’s Technical Center in 2012, the company felt like it was firing on all cylinders. Employees were hard at work developing what would become the best cars in the company’s history. People were excited and optimistic for the first time in years, thanks in large part to CEO Sergio Marchionne, whose untimely death we learned about this morning. I arrived at Chrysler Group, LLC six years ago as one of over 100 interns (a sign of good times). Specifically, I was an engineering intern in the Advanced Vehicle Engineering team—the packaging team, whose job it was to use computer-aided design software to decide which vehicle parts go where. With packaging for every vehicle program happening all in one small office on the fourth floor of the tech center’s north wing, my job gave me a birds-eye view of Chrysler’s future. And it was looking bright. You have to realize that wasn’t always the case. Five years before that, Chrysler was getting out of a failed “merger of equals” with German car company Daimler, a union full of culture clashes that saw a once-great American automaker treated as a second-class citizen. Not long after, Chrysler was owned by private equity firm Cerberus, by nature an organization focused on short-term profits and not the long-term development an automaker requires. After that it spiraled into bankruptcy, pulled out only by billions of taxpayer dollars. I wasn’t around for those events, but they left scars that everyone could see and feel. Just look at the emotion in the video above from UAW Local 685 President Rich Boruff, who talks about fearing for his family’s livelihood if the doors closed. Times had been dark at Chrysler for a while, and the products—like the Dodge Caliber, Chrysler Sebring and Jeep Compass—were a laughingstock in the industry. Long-timers spoke of things as if they were veterans of some terrible battle. 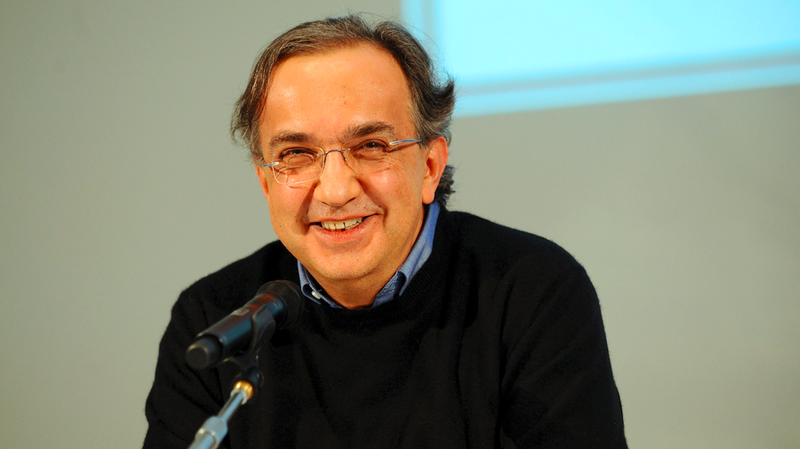 Then came Marchionne from Fiat, who put his faith in American workers, believing Chrysler could turn things around. And when I arrived things felt like they were well on their way. At the time, Chrysler was getting ready to release its new Dart compact sedan (which, admittedly, didn’t end up working out), I myself was helping with packaging on the RU program (the minivan), my neighbors a few cubes over were working on the upcoming KL (the new Cherokee), and dozens of other substantially new and improved vehicles were in the works. By the time I took on a full-time job in the Aero-Thermal team in 2013, I was witnessing a company charging full steam ahead, hiring lots of new talent to help design important vehicles like the new Wrangler, Ram and Pacifica—arguably the best vehicles the company has designed to date. On top of the high-volume cars, there were also a lot of fun projects taking place, especially in the powertrain wing. “They’re calling it the Demon,” I recall my colleague telling me about a rumored 800+ horsepower beast being tested on the dynos. By then the partnership was called Fiat Chrysler, and boy was it thriving, and enjoying every minute of it. Contrast that work environment with the one just a few years prior—a bleak one where, according to some of my former coworkers, many offices in the Chrysler Tech Center were sparsely populated with people working on not nearly enough vehicle programs, and many were leaving as the fate of the company hung in the balance—and it’s easy to understand why so many folks at Chrysler think so highly of the quiet, sweater-wearing CEO from Fiat. Marchionne brought the company back from the brink and gave employees the tools and the motivation to get back to work. Part of that had to do with giving Chrysler the resources it so desperately needed—funding, talented employees, engine and vehicle platforms—but much of it had to do with his own high standards for products and his ability to surround himself with talented people. And I’m sure there’s a lot more to the recipe that Marchionne made to build Chrysler into what it is today, but suffice it to say: the recipe worked. The closest I’ve ever gotten to meeting Marchionne was at a speech he gave to interns—one that I arrived early to so I could sit near the CEO, since I was a big fan. And it wasn’t just me who respected him, it was pretty much everyone in the whole company. But even though Marchionne was known for speaking his mind, nobody doubted his goal was to make Chrysler a better place. And most importantly, to build better cars. My Facebook feed today is filled with sadness, as my former coworkers at Fiat Chrysler mourn the death of a leader who helped turn things around. For all the tales of Marchionne’s bluntness and relentlessness, there are as many positive ones, too. Many tell stories of his kindness and generosity—how he went out of his way to connect with even entry-level employees—while some just thank him for giving the company the tools it has always deserved to become the best version of itself. Chrysler has been through tough times in the past, and while employees at the tech center still bear scars from things like the Voluntary Termination Incentive Program in the early 2000s, it was Marchionne who came in and healed those wounds. And ever since, many employees at Fiat Chrysler have been more motivated and optimistic than ever. Of course, Fiat Chrysler is not perfect today. Far from it. The Chrysler brand is confused, the company’s electric vehicle offerings are behind the competition, and quality still hasn’t been the best. But there’s no denying the auto workers of Auburn Hills and beyond are in the best spot they’ve been in in decades. I don’t think that would have happened without Sergio Marchionne.